This month has brought hot days, rainfall and also vacation. 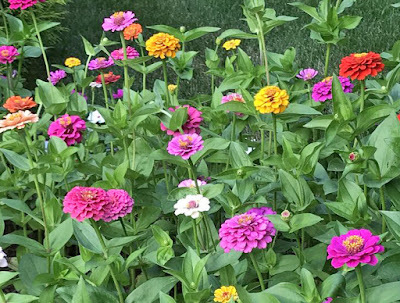 A garden of Zinnias always welcomes us when we drive up our driveway. 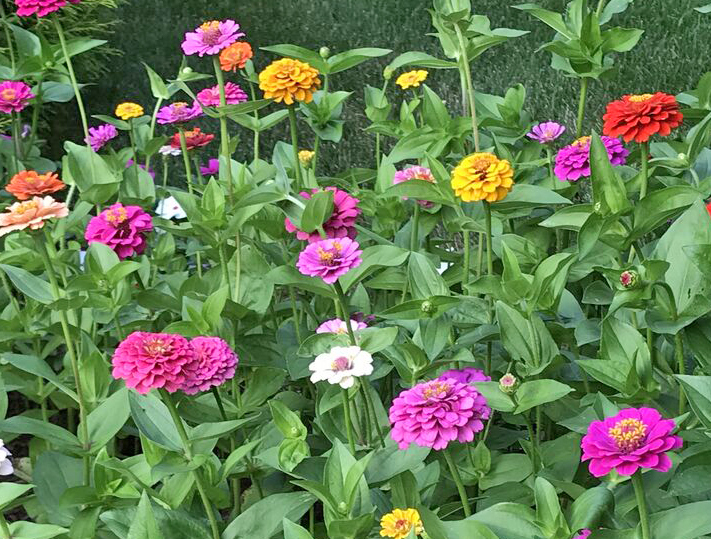 These colorful flowers were planted from seed in May. It's a beautiful sight!